Many California marijuana business executives welcome the state’s newly mandated track-and-trace system as an opportunity to ensure industry transparency – but they worry the technology’s rollout could prove rocky. Industry officials report widespread confusion about how to operate Metrc, the software the state relies on to power the track-and-trace system. Confusion also swirls around how companies – from growers to retailers – should comply with regulations governing the track-and-trace system, also known as CCCT. 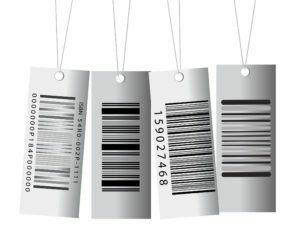 Moreover, retailers worry the bar codes used with the system could cover key information contained on product packaging, such as government warnings. CCTT became operational Jan. 2, 2019, for businesses with full annual permits. However, only about 100 companies have permanent annual licenses and are required to use the system, while hundreds of businesses with temporary licenses are not. “It’s crucial that things like Metrc get instituted, because it keeps everyone on the level,” said Jordan Lams, founder and CEO of Moxie, a Long Beach-based processor and distributor of pharmaceutical-grade marijuana. Only annual, as opposed to temporary, licensees currently must use Metrc – a situation that’s raised questions about doing business with companies not yet on the system. “We’re all a little confused about it,” one Northern California retailer said. The retailer, who requested anonymity, said his current point-of-sale software representative told him not to transfer data and other information to Metrc until it’s clear whether annual licensees will be able to transact with temporary licensees. The California Department of Food and Agriculture (CDFA) – one of three state cannabis regulators – told Marijuana Business Daily that annual licensees will continue to transact business with temporary license holders. A department spokeswoman also said the CDFA and other regulatory agencies didn’t tell business owners to hold off on implementing Metrc. “On the contrary, CDFA is actively contacting licensees who have not yet been credentialed into the CCTT system and reminding them that they must become credentialed to remain in compliance with the terms of their state cannabis licenses,” said Rebecca Forée, CDFA communications manager. Temporary licensees are not required to use Metrc, so annual licensees must do it for them, Fraser said. Alex Traverso, a spokesman for the California Bureau of Cannabis Control (BCC), said that as of early March his agency had issued 28 annual licenses, the CDFA had issued 20, and the California Department of Public Health (CDPH) had issued 48. Another 1,200 applications are pending. If SB67 – an act to amend a section of the California Business and Professions Code – passes, temporary licenses could be extended until the end of 2019. California cannabis industry officials also are concerned about the bar codes that are printed on stickers and used in conjunction with the track-and-trace system. The stickers, or unique identifiers (UIDs), keep track of plants and cannabis products as they move through the supply chain, from growers to retailers and other businesses. According to state regulations, the UIDs must be attached to all cannabis plants and products at a company’s facilities. However, retailers say that applying UIDs often results in covering information that already exists on packaging. “A lot of products have limited space,” said Monterey County Patients Group owner Feather Thomas, a retailer who worries about the legality of applying UIDs that cover government warnings. Traverso said this issue will be resolved once all suppliers are annually licensed. “As businesses throughout the commercial cannabis market receive their annual license, they will be credentialed and input their on-hand inventory into the CCTT system. Manufactured cannabis products are licensed manufacturers. Product must be labeled before leaving their manufacturing premises as finished goods. Cannabis (packaged flower and flower-only pre-rolls) are labeled by either a licensed cultivator, manufacturer, or distributor – whoever is responsible for completing packaging and labeling of the cannabis as finished goods. Another concern with UIDs is that marijuana businesses are limited in the number of UIDs they can order at any one time. Josh Drayton, communications and outreach director with the California Cannabis Industry Association, notes that counterfeit UIDs are also an issue. Florida-based Franwell, the maker of Metrc, did not respond to a request for comment. Confusion surrounding CCTT and Metrc was recently compounded by a notice the California Department of Tax and Fee Administration sent to thousands of cannabis businesses notifying them that all business transactions must now be recorded via Metrc. The directive contradicts the advice to wait that some licensees say they’re receiving from their point-of-sale software representatives. The notice also didn’t address the various logistical challenges industry officials report they’re experiencing with the technology. “I think we’re going to see these challenges throughout the whole year,” Drayton said. “There are many unknowns, so many regulatory changes. This is interesting. But up here in Humboldt County we have many very large permitted operations that are not part of the track-and-trace system. They have the protection from the county because they have paid taxes and fees for their temporary permits and yet they are selling all of their product into the out-of-state market. County and state officials know this. Yet it will continue again this year. Permitted (protected) mega-growers will drag their feet forever while county and state officials seem to allow them to do so. It’s an open secret that appears to speak of corruption. Everybody believes that track-and-trace is a joke, just nice words for the gullible public. Is there a website to buy these from. The BCC board won’t be able to tell the difference, they can’t tell the difference between a tomato plant and a cannabis plant. No worries though, I emailed them a photo. Hey, I’m here to do my part. At least Metric is hack proof. LOL! it’ll be fun. Just a quick question, can the black market folks use those stickers? We could use them as price tags. Or maybe they can be customized for something like gift labels or something. Do they come in designer versions. Boy am I glad that prop 64 legalized cannabis. Ready, set, go, the race to the bottom is on! If they spend more time fixing their flawed system by actually reading the state law and looking at other successful states instead of spending time stealing microbusiness plans so they can maneuver ways to benefit through their social equity program. We are living with the consequences of unbridled greed within the state government and rich investors. Good luck to you all. Just another failure in California’s legalization. Falls under the category of failures due to OVERregulation These include exhorbitant application fees without refunds, zoning and arbitrary local regulations regarding locations and numbers of cannabis businesses, burdensome local and state application processes. A neighboring city’s application for a grow required, among other things, an almost 1000 dollar life scan? My wife is a teacher. She has been required to have life scans done. They cost well under 100 dollars. The same city asks how many police officers you would pay for at around 65k a year each? Might as well add “bribes” as a line item required on all application packages. A farmer isn’t allowed bring his or her crops to market, a distributor must be used. Track and trace for public safety and taxation is a subterfuge Track and trace is implemented to make sure everyone who payed to play gets charged on an ongoing basis (pay more to keep playing) and the former law enforcement and politicians turned distributors gets their cut from both sides. The ultimate OVERregulation is apparent in more than half of the state’s municipalities which have outlawed cannabis businesses in one more forms. It’s legal in the state, but not everywhere. People are still getting arrested and going to jail. It is not really legal. Has the BCC gotten anything right? Not one thing in my opinion.